Home Science for Kids 5 Ws & H Is the Red Colobus monkey extinct? 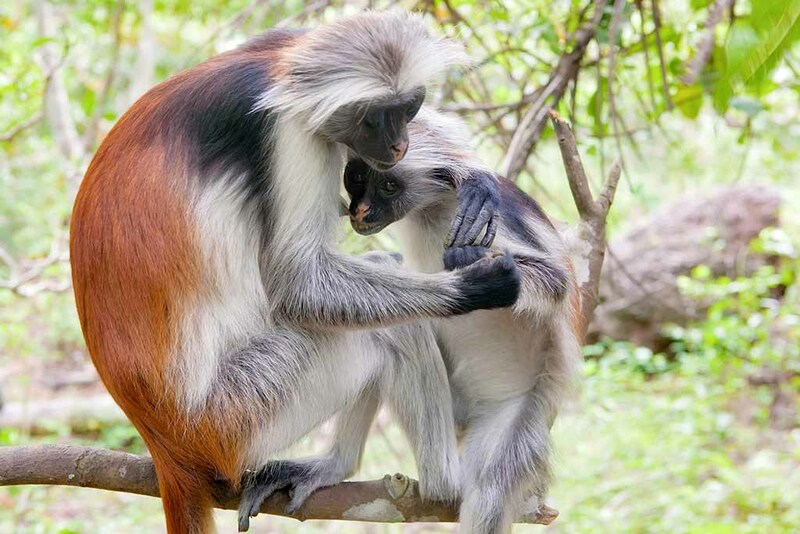 Is the Red Colobus monkey extinct? Unbelievable but true! A large West African monkey has simply vanished from the earth. It has joined the Dodo, by becoming the first primate to vanish in the 20th century. After a six-year long survey, scientists and wildlife experts have declared the monkey, known as Miss Waldron’s Red Colobus monkey, extinct. Primatologists (people who study the evolution of apes and monkeys) carried out exhaustive surveys in Ghana and the Ivory Coast, in Africa, but failed to spot a single monkey of the species. The last confirmed sighting of a Miss Waldron’s Red Colobus was over 20 years ago in Ghana’s rainforest. Soon after, the World Wildlife Fund for Nature (WWF) declared the mammals endangered. The Miss Waldron’s Red Colobus was only discovered in 1933. There are five more varieties of the Red Colobus, all of which are rare and are found in Central and Western Africa. Kirk’s Red Colobus Monkey, first identified by Sir John Kirk, (British Resident to Zanzibar in the 1870s) is another animal that is severely endangered. The name ‘Colobus’ is derived from the Latin word for ‘maimed’. That is because Colobus monkeys either have very short thumbs or do not have thumbs at all. Their fur colour ranges from light orange to a fiery orange-red. They are small, about 70 cm at the shoulder, with long limbs and a tasseled tail. These monkeys are brachiates. They swing by their arms through the forest and feed in the upper layers of the forest at a height of about 150 feet. Colobus monkeys are quite timid and live in large, noisy groups. To prove their solidarity, these monkeys groom other members by removing parasites with their mouth. Funnily enough, this act of grooming takes place, more often, in the presence of monkeys from other groups. The monkeys are popular targets for poachers as the meat is considered a delicacy. Human encroachment and the reduction in natural forest habitat are other reasons for the decline of this monkey. Scientists estimate that 10 per cent of the world’s 608 primate species (and subspecies) are endangered. They feel that another 10 per cent may also be endangered unless strict measures are taken for their conservation. Previous articleHow did Sign Language Originate?